The Met Coaches World Championship of Ping Pong has a new name on the trophy after tournament debutant Wang Shibo of China defeated his compatriot Huang Jungang on the deciding point of an epic five-set final in front of a packed Alexandra Palace crowd. Wang, 34, was in control throughout the first game and continued his dominance in the second, opening up a 6-2 advantage before Huang, 43, fought back to lead at 8-9, with unforced errors few and far between. The pair remained neck-and-neck for the remainder of the set as both took and won their first of two available double-point balls. Huang, crucially, was first to set point and took advantage to win the game 13-15 and level the final at 1-1. Huang took the lead for the first time, taking the third game 14-15 and was seemingly closing in on the title when he led 13-6 in the fourth but Wang fought back superbly to force the deciding game. Again Huang opened up an early advantage in the final game and despite being on the verge of victory at 10-14, saw Wang battle to 14-14 and it was the younger man who then laimed the title by the tightest of margins. “I am very happy and very excited to win the World Championship of Ping Pong,” said Wang. “I am happy it was such a wonderful match for the audience, who were fantastic to play in front of. I feel like playing here is more exciting than playing even in China because the crowd really appreciate our efforts. 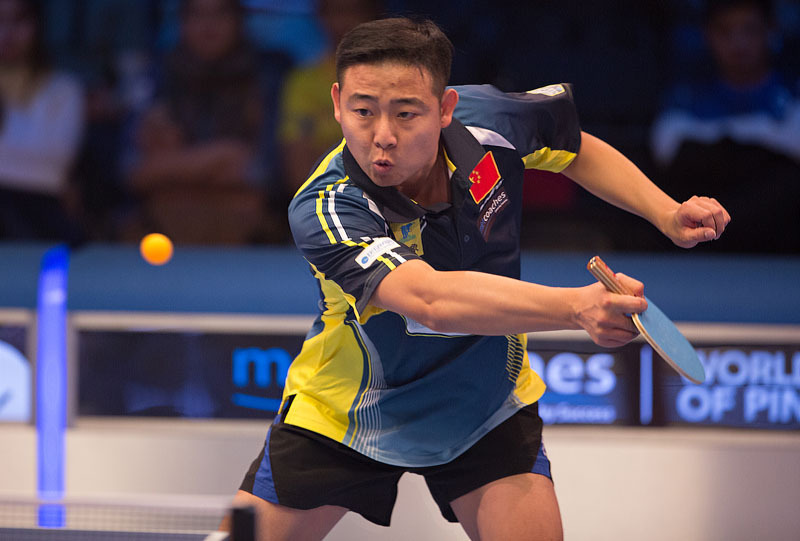 Wang had reached the final with a 15-9, 15-4 semi-final success over last chance qualifier Liang Xue, who himself had defeated defending champion Yan Weihao in the quarter-finals to reach the last four. Chris Doran had put in one of the performances of the tournament to get past two-time World Champion Andrew Baggaley 15-8, 15-7 in the last eight but the Englishman, who had the vocal backing of the Ally Pally crowd, slipped to an agonising 15-13, 15-13 defeat to Huang in the semis. Full results from the Met Coaches World Championship of Ping Pong can be found at www.worldchampionshipofpingpong.net.